Rosemary is an herb. It is native to the Mediterranean region. It has delicate taste and aromatic fragrance which are making it favorite all around the world. It is packed with many vitamins and minerals. This is a reason why many people add it to their diets. This herb has been used for hundreds of years as a home remedy for many different health problems. It has anti – inflammatory, anticarcinogenic and antioxidant properties which are making it a powerful medicinal herb. You should drink rosemary tea because it will give you a lot of health benefits. When you consume rosemary tea, then it will not cause you serious side effects but it should be taken with certain precautions. Those people who suffer from epilepsy and hypertension and pregnant women should not take rosemary in any form. Also you should not over – consume rosemary tea because it can cause nausea, pulmonary edema and in very rare and serious conditions – coma. Fights signs of aging: This herb can stimulate the regeneration of skin cells which is making it one of the best anti – aging agents. It can make the skin firmer and it will increase the blood circulation which will give you youthful and glowing skin. When you drink rosemary tea on daily basis, then it will give you beautiful and radiant skin which will make magic from inside and it will give you fantastic results on the outside. Fights infection: This herb has antiseptic properties which can help to fight off bacterial infections. You can use the rosemary tea as gargling solution to maintain the oral health and it will keep infections away. 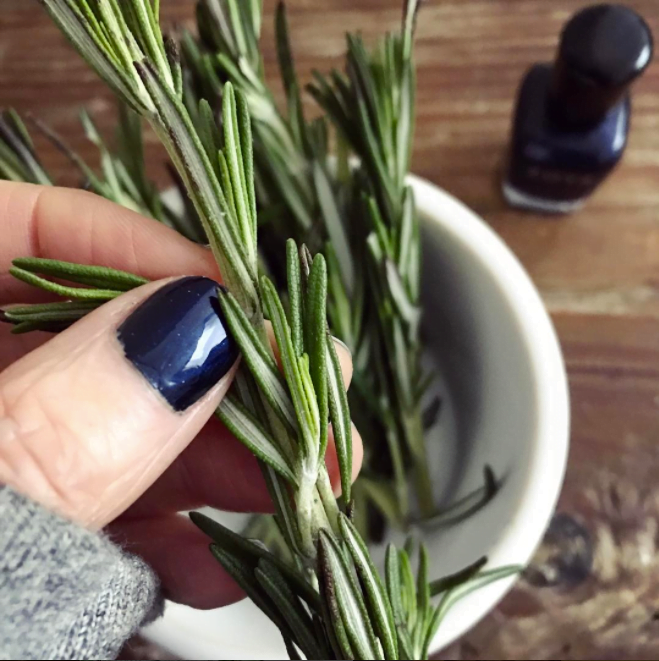 You can use the rosemary tea to clean minor cuts and wounds so they will not be infected. There are many people who steep rosemary in their bath water because it can keep the bacteria and germs away and also it can help to soothe joints and muscles which are painful or sore. Lowers breast cancer risk: There are some studies in which are shown that the rosemary tea can help to women who are vulnerable to breast cancer. One of the main causes for breast cancer is the estrogen imbalance. When you drink rosemary tea then it can help to control the estrogen imbalance and it can prevent it from getting worse which means that it will lower the risk of breast cancer. There are many experts who are recommending drinking rosemary tea on daily basis because it can help you to get a protection against breast cancer. Provides nutritional support: When you drink rosemary tea, then it will give you the nutritional support which your body needs. It is rich in vitamins, minerals and other essential nutrients which are needed by your body to be healthy and physically fit. Also it has phytochemicals and antioxidants which are giving you a sound body and mind. You should drink rosemary tea on regular basis because your body will get benefit from the inside out. Enhances concentration and memory: There are some studies in which are said that when you drink a cup of rosemary tea on daily basis, then it can enhance your memory and ability to concentrate. There are many experts who are recommending drinking a cup of rosemary tea every morning because it can help to increase your levels of concentration throughout the day. 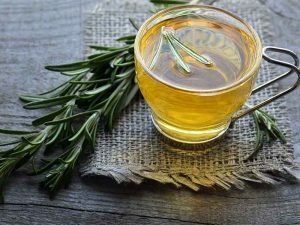 Prevents symptoms of cold and flu: When you drink a cup of rosemary tea on daily basis, then it can help to prevent the symptoms of cold and flu. It can keep headaches and migraines away. You should start your day with a cup of rosemary tea because it will calm your mind and body due to its regenerative qualities. Also it can help you to stay alert and fresh throughout the day. Makes hair healthy: This tea can be used as a rinse for your hair after shampooing. It can make your scalp healthy and it will promote healthy hair growth. If you have dandruff, then you should mix rosemary tea with borax because it will help you to rid of the flakes from your scalp. Boosts the immune system: It can boost your immunity which is due to its antioxidant, anti – inflammatory and anticarcinogenic properties. Also it can enhance your overall health because it has healing powers.